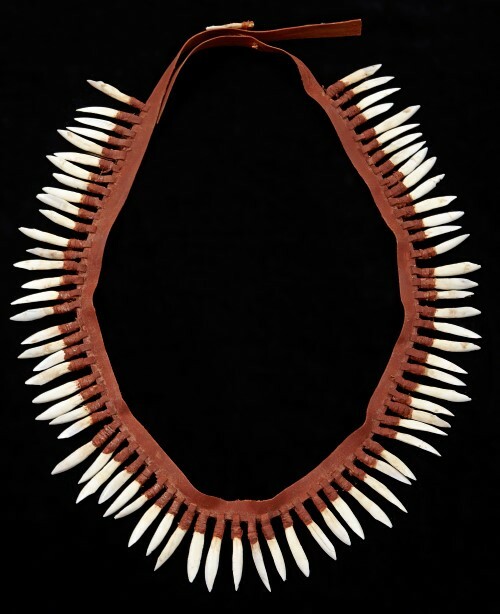 Maree Clarke, Kangaroo Tooth Necklace, 2013. Kangaroo teeth, kangaroo leather, kangaroo sinew and pigment. Monash University Collection. Purchased by the Monash University Library 2016. Presented in association with Mildura Art Centre as part of Craft Victoria’s Craft Forward series, Reimagining Culture - Contemporary Connections to Country will bring together a selection of existing works by Mutti Mutti, Boonwurrung, Yorta Yorta woman and multi-disciplinary artist Maree Clarke, and new works made in collaboration by Maree and her nieces and nephews. Maree’s family lives in Mildura and the surrounding area. 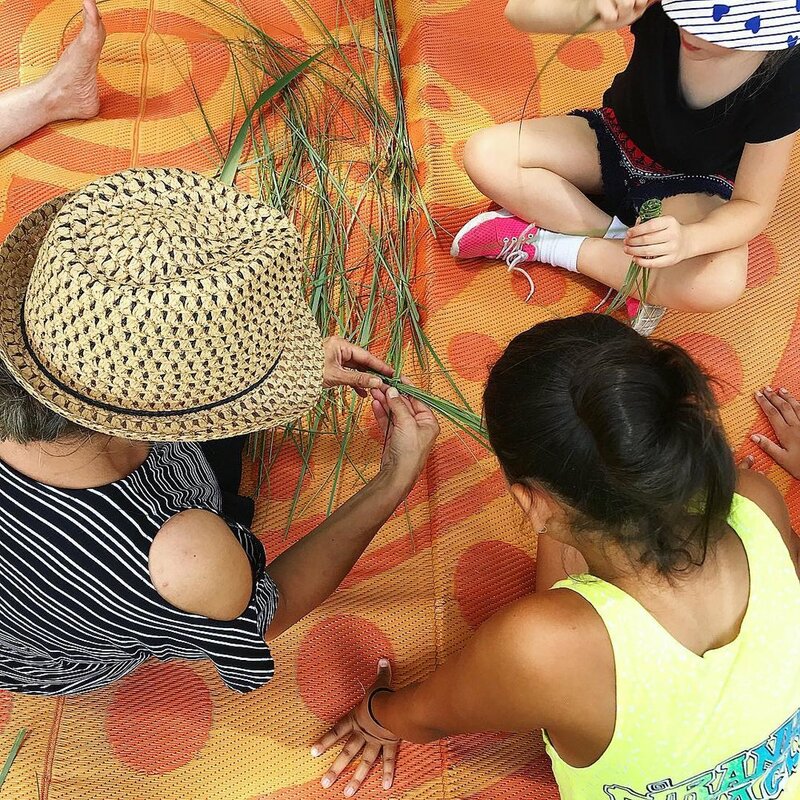 Reimagining Culture is an opportunity for them to (re)imagine their culture in the place they live and have lived. It will explore how they create their traditions through research and respect of the land, while drawing strength from their Ancestors. Robyn Phelan, Conversation with a Tree - Recording, 2018, digital image. Conversations with a landscape presents an investigation into our relationship with Australian landscape. ”I have visited this area of the Victorian high country for many years. All works have been made at the site of investigation, using the pliant material of clay to capture a tangible sense of place. These objects respond to a tree and the place in which it grows. The artist would like to acknowledge that this work was made beside the waters and on lands of the Taungurung Clans. This tree stands majestic and sublime, its imposing size suggesting it is many hundred years old. A vital living thing, a survivor of colonial impact of saw milling, the high-country cattle industry,19th century and ongoing farming and leisure activities. It stands on the verge of a stone-filled mountain river, teetering on the boundaries of possessed and Crown lands. Robyn Phelan makes sculptural and ceramic works out of the Elm Place Studios in North Melbourne. Referencing art history, a sense of place, and concern for the environment, her works question ‘what and who are we? For the artist, clay is a material with immense agency and is intrinsic to the universal human experience. Robyn has a diverse range of professional visual arts experience, and is an avid observer and writer of contemporary ceramic practice. Robyn is currently undertaking a Masters by Research at RMIT. She also teachers in Ceramics and Professional Practice. An exhibition of contemporary tapestry and loom woven textiles that explores materiality, process, and the intersections between textiles, painting, and sculptural form. 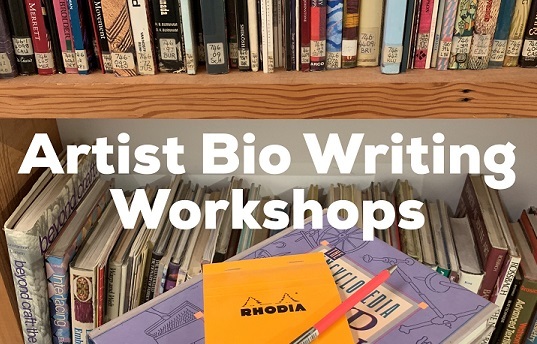 Artists include: Meghan Spielman (USA), Jennifer Robertson (ACT), Tim Gresham (VIC), Amanda Ho (VIC), Ana Petidis (VIC), Britt Salt (VIC), and Sara Lindsay (VIC). 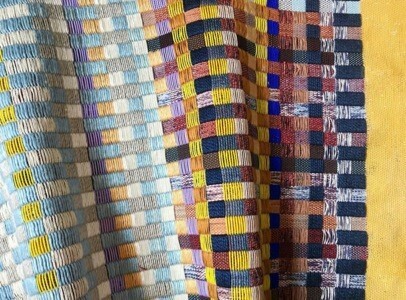 The weavings are made with crimplene thread, a synthetic fabric that was discontinued in the 1970s. Woven loosely, they become thin and fragile. The vacuum seal bags preserve their fragility, keeping them from being used or damaged. Removing the air from these bags emphasises each woven thread and the form of each weaving so that every movement and gesture that went into making them is highlighted. Both are used for similar purposes, the invention of crimplene thread was to make wrinkle-free clothing that consequently did not allow your skin to breath and removing the oxygen from vacuum seal bags to keep household clothes and fabrics from creasing while in storage. 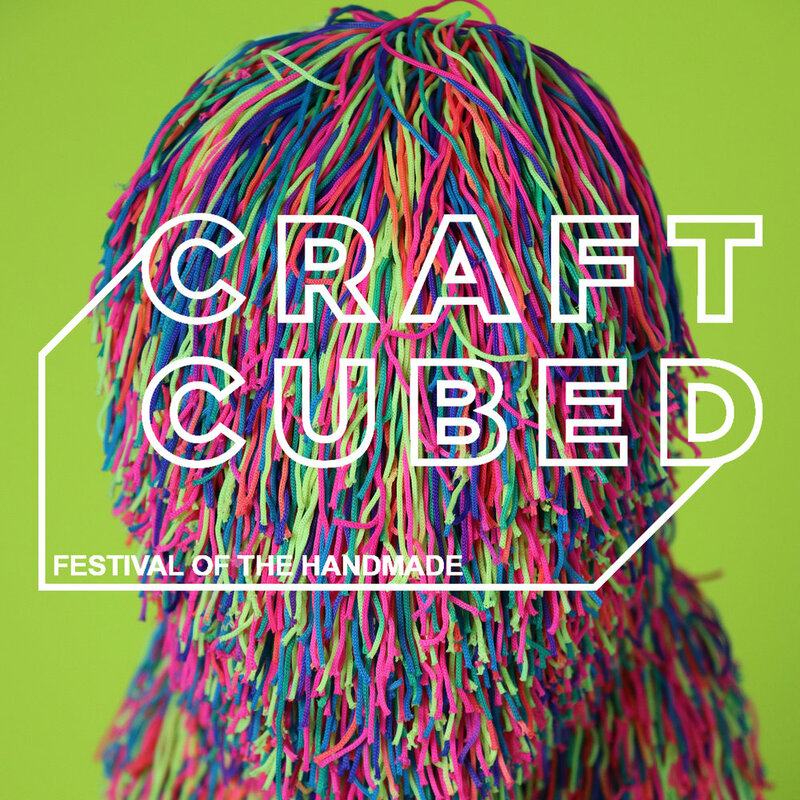 Anna Fiedler's practice utilises the process of weaving to remove the boundaries surrounding traditional craft making. Objects are created to become something no longer recognisable as a classic weaving; attempting to re-deduce their fixity between both craft and new materialism. In size, the works often respond to the loom they were made on. This idea of a relationship between woman and loom is substantiated through the melodic and calming process of making the weavings. These works find their criticality within this process, softening differences between process and outcome. 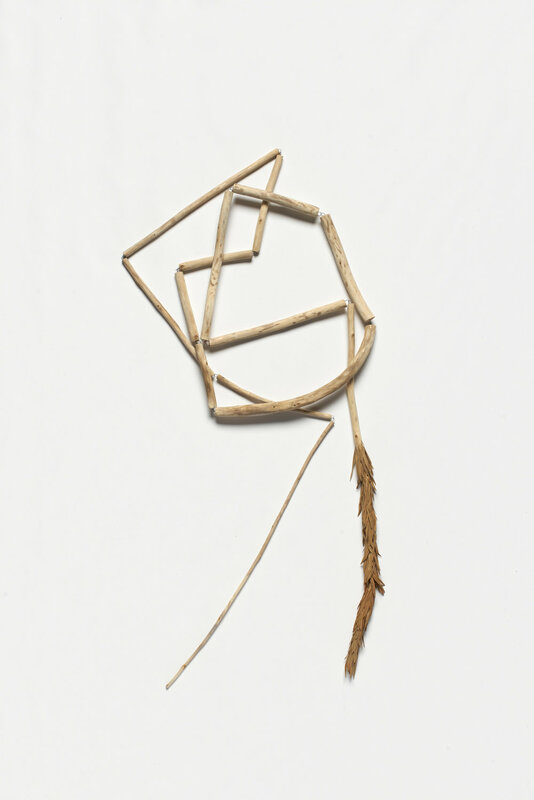 Her fragile works explore preservation but also encapsulate their history and ancient methods. Reverent Extrusions looks to re-contextualise the vitrine showcase gallery as a display or archival cabinet like that within a traditional museum collection, displaying cylindrical ceramic sculptural objects. Jess Lyons is a ceramics-based artist (currently studying the Bachelor of Fine Arts Honours at RMIT). Her practice is concerned with influences of inherited craft skills and scientific wisdom that have been passed down through her family. Transference from past to present - seepage between spaces and time - fluxus between physical states are explored in Jess’s most current research and projects. 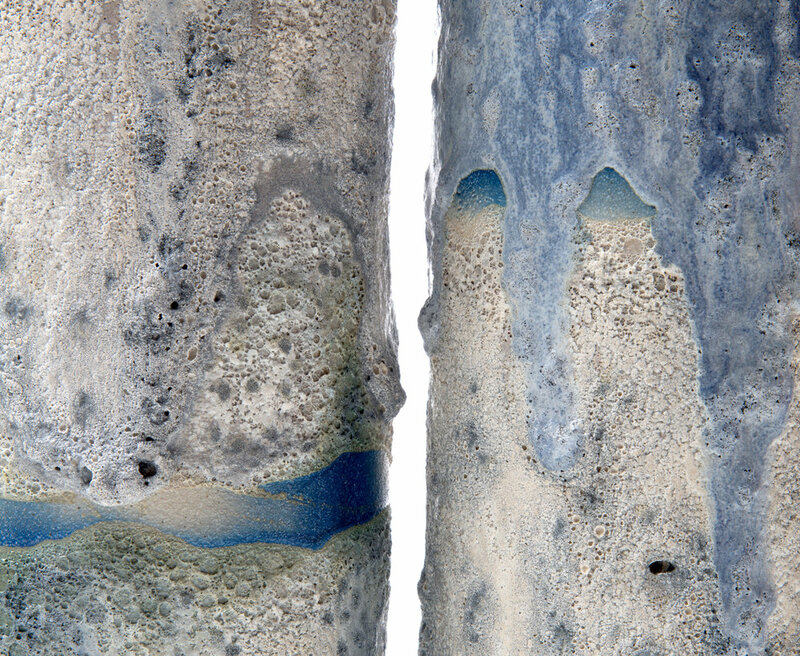 Jess’s motivation is driven by an innate desire to articulate the ‘self’ via the ceramic process - focusing on glaze development and the transformation of materials. Artists : Adrienn Pesti, Ailsa Morrant,Astrid Jaroslawsky, Caitlin Hegney, Rachel Hardie and Michelle Stewart. An observation of commonality through diversity that emerges from shared experience. Six emerging artists have gathered in the shifting milieu of Scotland’s largest city and spent a year working alongside one another in the Glasgow School of Art, Artist in Residence program. Each with a clear focus in mind and a personal direction to navigate and each bringing their own experiences and perspectives. From a deep ancestral belonging in the Glasgow Arts and comfortable familiarity of an adopted home to fresh eyes on an old city, these artists all have a way of interpreting this place that echoes the ingenuity and innovation of the Scots. With daily visual cues from a city that boasts an architectural tenacity of the ages, an undercurrent of resilience and strength of character embodies their work. Each of the artists are recently graduated and have been accepted into the Glasgow School of Art (GSA) Artist in Residence (AiR) 2018-2019 program. Still within the supportive environment of the GSA but each taking a step towards an independent arts practice these artists are working hard to explore and define themselves in their work. The surrounding environment of Glasgow city and the renewal, yet again, of the beloved Mackintosh Building are reflected in the pieces developed during their tenure. The Artists are Adrienn Pesti, Ailsa Morrant, Astrid Jaroslawsky, Caitlin Hegney, Rachel Hardie and Michelle Stewart. Small Gatherings is a continuation of work that originated during my residency at Craft in August last year. Over several weeks, I collected, cut out and rearranged photographs sourced from the library at Craft to develop a series of works on paper: collage ‘samplers’ created with the specific intention of application to fabric. 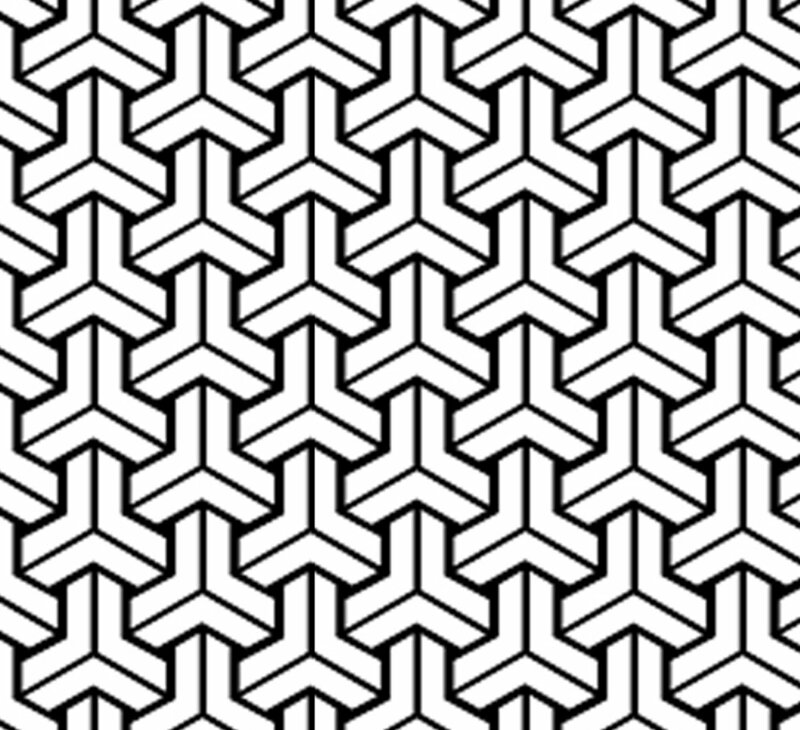 The initial phase of this project was guided in part by my aim to extend my creative practice into textile design. It also allowed me to explore an ongoing interest in materiality and assemblage. "Repetition is doing or making exactly the same thing, over and over again. I think of seriality as making or doing something from the same starting point, but each time allowing for a slightly different result." With this in mind I undertook a series of open-ended investigations, utilizing a variety of materials and objects, both found and handmade, and taking into consideration a range of formal concerns, but always referring back to the collage samplers as a starting point. Stephanie Hicks is a visual artist working across collage, drawing, artists’ books and installation. Her practice is informed by traditions of printmaking, craft and decorative arts, and a love of picture books and storytelling. The collection and arrangement of photographic images is central to Stephanie’s creative practice. Images from vintage books and journals, found photographs and stickers are incorporated into a personal archive in which meaning is articulated though the use of formal qualities such as patterning, repetition and symmetry. These works form part of a body of work created and exhibited in Japan in December 2018, as part of an Asialink Creative Exchange. The work features hand cut paper installations inspired by the patterns found in Rei's Samurai ancestor's armour-wear, which took on additional meaning when she was diagnosed with breast cancer in 2017, becoming a warrior herself. The works illuminate the patterns of Rei's mixed Japanese-Australian heritage, and pay homage to her battle with breast cancer. Elysha Rei is a Japanese-Australian visual artist whose work draws upon her mixed heritage and lived experiences between places, cultures and communities. Her works are created from personal and historical archives which embed narrative and symbolism within a Japanese design aesthetic. Works include portraits, patterns and paper cutting which have been translated into large-scale murals and public art commissions. Since completing a Bachelor of Visual Arts in 2008, Rei has created and exhibited work, curated exhibitions and managed cultural spaces across Australia, New Zealand,Thailand, Japan and the US. In November 2018 she completed an Asialink Arts Creative Exchange in Japan creating work at Studio Kura in Fukuoka, then exhibited at No.12 Gallery in Tokyo. We are getting ready for International Womens Day 2019 > 8 March < and we want to hear about your craft and design heroines! All you have to do is go to the link below and tell us who inspires you and why! With a 35-year practice that covers film to public artworks to intricate carvings, ‘Jeweller’ as Catherine Truman is sometimes referred to, hardly embraces the true expanse of her practice. Rather, she is an accomplished artist, with a love of research flowing in the undercurrent to all of her practice, a practice that is of and about the body as much as it is intended for it. Join Catherine among her exhibition JamFactory ICON: Catherine Truman: no surface holds for a reflection on her work and practice. Please book below as space is limited. situation gravitas considers gravity and the force of attraction between objects. Through the repetitive act of dropping moist clay from a height of 5 metres, Bolton experiments with ‘release, velocity and impact’ to build forms that interrogate ideas surrounding geological change. “Gravity is considered a ‘field of influence’ controlling the motion of an object. My PhD research at RMIT involves practice-based enquiry into humanity as a geological ‘field of influence’. Conceptually, by utilising the earth’s force of gravity to create this work, I interrogate ideas about geological change imposed on the earth by humanity through continued extraction and exploitation. 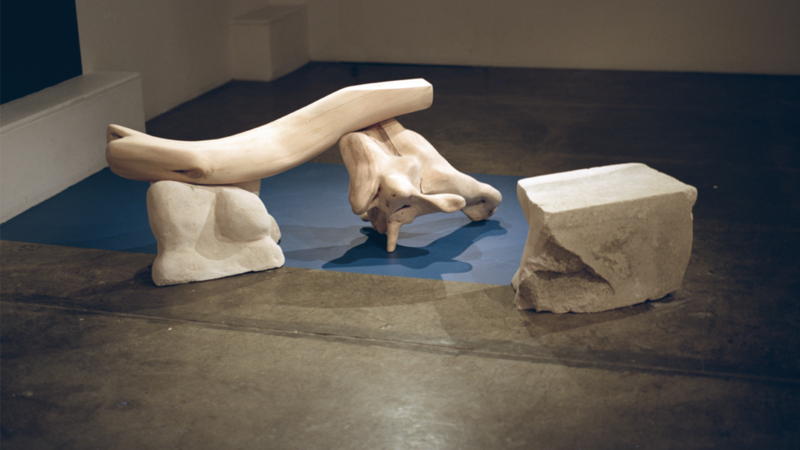 Pie Bolton is a contemporary installation artist working at the human/geological interface. Her practice is grounded in materiality and temporality. She uses transformation of geological processes to expand ideas about humanity as a geological force. Tertiary studies in art and science (geology) have resulted in Pie’s unique, authoritative practice. Innovative objects and installations are backed up by sound research and technical expertise to assist the development of a clearer understanding of the complex relations between the human and nonhuman. Pie has worked as a field exploration geologist, is an experienced ceramic technician and a PhD candidate at RMIT. 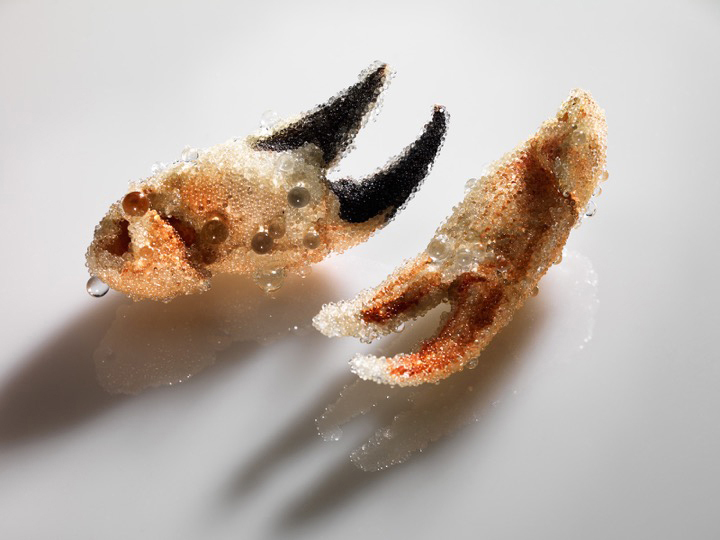 Internationally renowned for her contemporary jewellery, no surface holds explores the breadth of Catherine Truman's research-based practice, bringing together an extraordinary collection of film, images, installation and sculpture. Three Trees looks to narrate fraught and fragile human relationships to trees through material choices and making processes. Willow, classed as a ‘Weed of National Significance’ has been harvested and carved to reflect and mourn past mistakes, that have caused irreconcilable damage. Agricultural debris and old plastic tree guards present a way to consider current conservation and regeneration efforts and the complexities of our impact on the environment. The exhibition responds to three individual trees, and through highly involved making processes, seeks to heighten their importance. Cara Johnson completed a Bachelor of Fine Art (First Class Honours) at RMIT University in 2016. 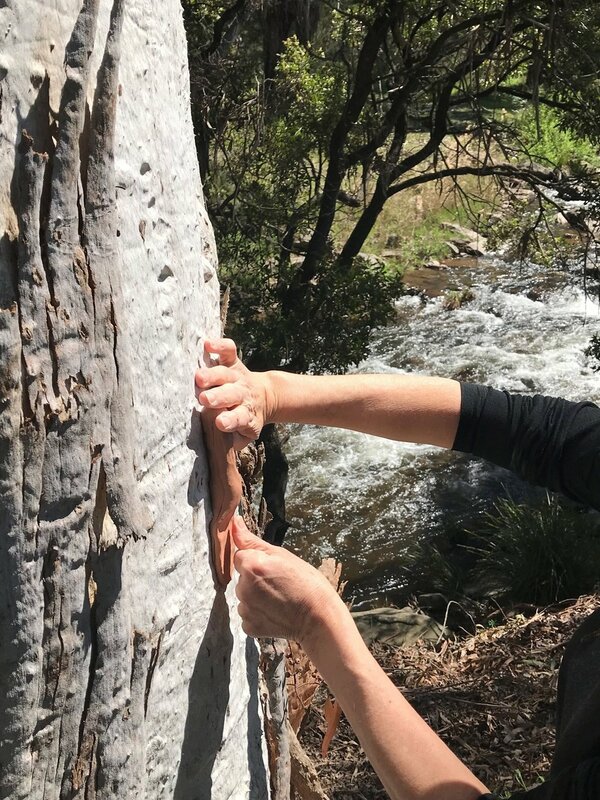 She resides in the Otways in Victoria’s southwest, and is a PhD Candidate at RMIT where she is examining narratives of land management, through a craft based practice. 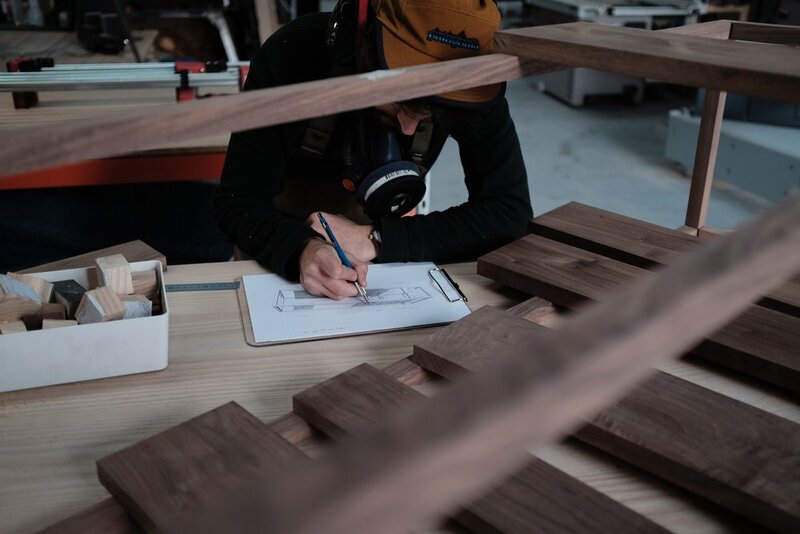 Applications are now open to take part in our famous Craft Hatch Market Program in December. 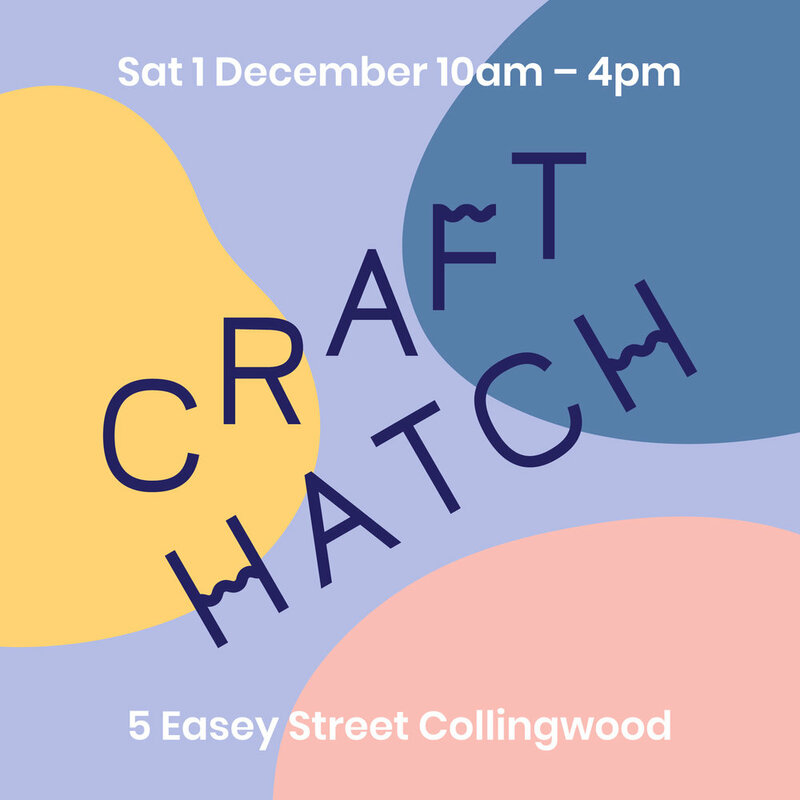 Our 1 December 2018 Market is designed to make the most of Christmas retail excitement and will take place at 5 Easey Upstairs in Collingwood. 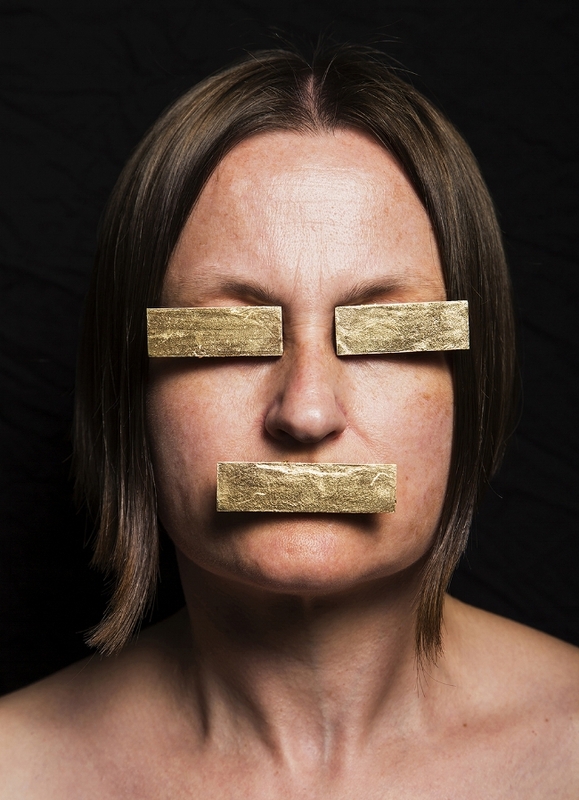 Applications close 9 October 2018.
smother forms part of a larger body of research by Tiffany Parbs, examining contrary frameworks used to depict women in the media, their psychological impact on individuals and pervasive influence on socialisation of attitudes towards women in the wider populace. With this instalment, Tiffany uses jewellery to reframe the prevailing good/bad mother dichotomy, with particular emphasis on the gap between visceral realities of motherhood and the gamut of unrealistic expectations placed on women from ‘Ideal Mother’ myths pervading through Western advertising that promote happiness through procreation, autonomic nurturing perfection and unattainable standards. smother offers an alternative reference point - one that revels and reveres in mundanity and demonstrates a heightened awareness of ongoing psychological and physical states of mothering, the involved labour and loading of parenting.